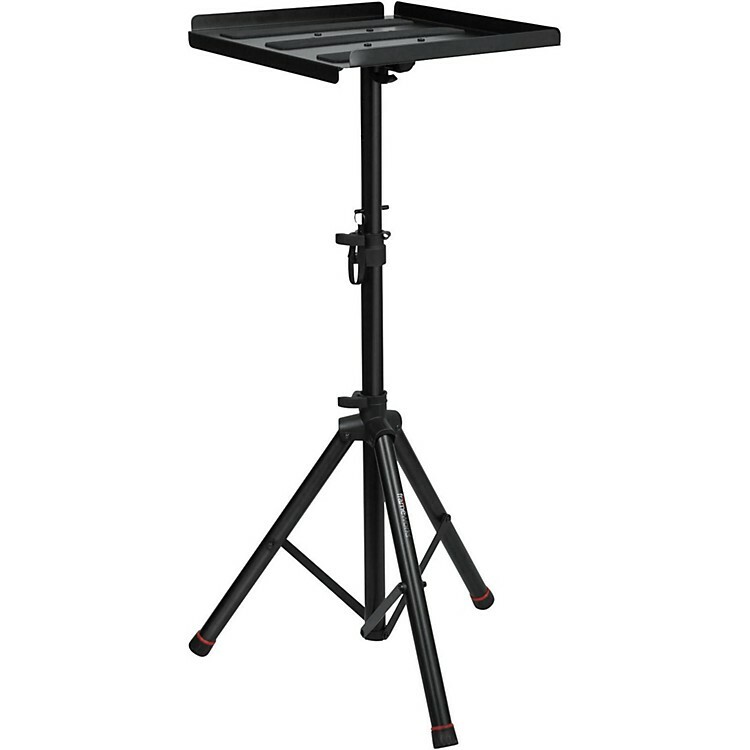 Heavy-duty multi-media tray with adjustable height. Multi-purpose tray, adjustable height. Ideal for tablets, laptops, media, rhythm instruments, anything that you need easy access to in stage and presentation environments.